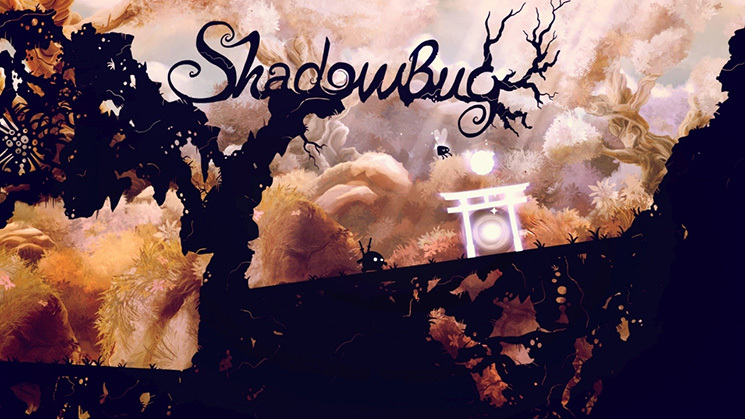 Shadow Bug is an action/platform/adventure game that puts you into the homeland of the ninja hero Shadow Bug. Are you ready to Leap, slash, and splash your way into Shadow Bug on Nintendo Switch? Then check out what I thought below! Watch out everyone, Muro Studios is entering the Switch development scene with their first title! Being their first release on the Nintendo Switch console, they are known for the Shadow Bug franchise, which consists of the original game and its sequel Shadow Bug Rush on mobile and steam. Although they haven’t worked on many projects, you’ll definitely enjoy their first Switch offering! What’s the story behind Shadow Bug? Well, you take the role of a ninja hero, coincidently named “Shadow Bug”. Your main mission is to save your homeland the forest from this evil factory by slicing and dicing the incoming foes to pieces. Does this premise sound interesting to you? Well, it definitely had me interested from the start. Featuring 6 memorable boss fights along with 36 hand-crafted levels, the gameplay features you going through each level and slashing up your foes! You control your character using the left analog stick (or by tapping and holding when playing touch screen) and to attack an enemy it’s as simple as tapping the enemy on the touch-screen or using the A button on the right Joy-Con when in pointer mode (detached Joy-Con only). As described above, the game features two main control schemes you can use. Both the touch-screen to tap and slash enemies or detached Joy-Con can be used. When detached, your right Joy-Con will act as a pointer to attack enemies and attacking enemies will also make you glide across the screen for quicker movements and to avoid tough obstacles. Feel like being a speed runner? Check out the Switch exclusive online leaderboards that you can access simply by clicking the trophy icon above each level. The visuals, in my mind, are absolutely breath-taking and gorgeous for a title like this. Although it can be called a mobile port, the enhanced environment art and graphics do help, to make it stand out. The name “Shadow Bug” is well presented within the game visuals and gives off the idea that you’re a ninja appearing from the shadows. You’ll experience this awesome aesthetic while going through the different campaign levels. The soundtrack was also a high point for the title. You have the catchy but sweet track that plays on the level select screen, and you have a variety of different background tracks that play while you’re in a level. While listening to these tracks not once did I ever get sick of listening to the music of Shadow Bug. Like I said on the visuals, the soundtrack truly delivers on the overall game experience and aesthetic. While being interested in this title from the start, I grew to love it even more than I thought I was going too. Some pros of the title are the charming soundtrack, online leaderboards, & the stunning visuals. Not once did I ever feel like the game was a disappointment. I did experience some weird control issues when playing in handheld mode, with touch-screen controls and experienced a bit of screen judder when played docked on the big screen, but other than that, I had a wholesome pleasant experience with Shadow Bug. Is Shadow Bug worthy of being on your Nintendo Switch? I definitely think so! It has an amazing soundtrack, breath-taking visuals, a charming aesthetic, online leaderboards support, & 36 hand-crafted levels all offered for a low price. There may be some small control issues and screen judder when playing docked, but I wouldn’t let these issues steer you away from a purchase.